"Different schools of Buddhism all have different devotional practices to the Buddha, although all Buddhists make symbolic offerings to the Three Jewels, that is, the Buddha (teacher), Dharma (teachings), and Sangha (community)." 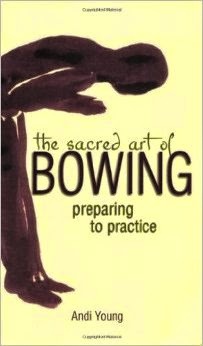 Andi Young "The Sacred Art of Bowing"
Recently I was teaching a course on Vietnamese history, and naturally enough Buddhism was a part of the discussion. While discussing a ritual, one of the students asked me: "Why is everything always done in threes in Buddhism?" 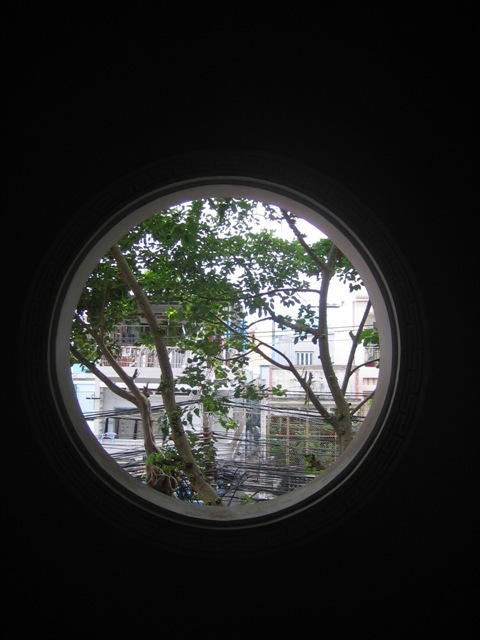 I realised then that I had a lot to explain, and I thought I would do so on this blog. When one bows at a Buddhist shrine, one always makes three prostrations. At the same time one offers three sticks of incense. When you make a ceremonial procession around a temple or tomb you do so three times. 1. The Buddha: The person of the historical Buddha Sakyamuni. 2. The Dharma: The body of teachings that describe Buddhist doctrine and belief. 3. The Sangha: The group of people who follow the Buddha and his teachings. This was traditionally interpreted as the ordained celibate clergy who serve the Buddha exclusively, but most modern Buddhists extend the meaning to incorporate the communities of lay-people who follow the Buddhist path. And so each time we bow, and each time we place a a stick of incense in the burner, we are recalling one of these "Jewels," these essential elements of the Buddhism. 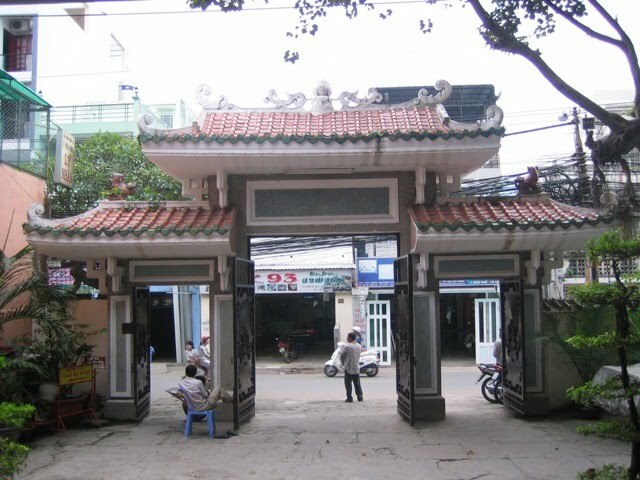 One of the places I find myself constantly recommending people visit is the little-known Quan Am Pagoda in Phu Nhuan District, Ho Chi Minh City. 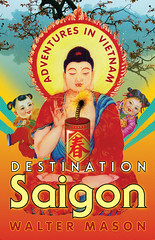 This temple is also mentioned in my book, Destination Saigon, and I have been visiting there for almost 15 years now. 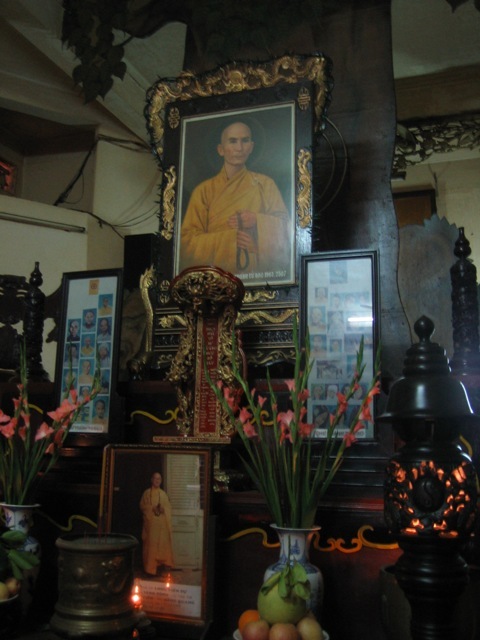 It is a pretty basic suburban temple, but it was the Saigon residence of Thich Quang Duc, and as I mentioned in a previous post, it has become something of a shrine to him. Downstairs is a large shrine to Thich Quang Duc Bodhisattva and the other Buddhist martyrs that followed him - most people don't realise that many people, both monastic and lay, followed his example and set fire to themselves in protest to the war. 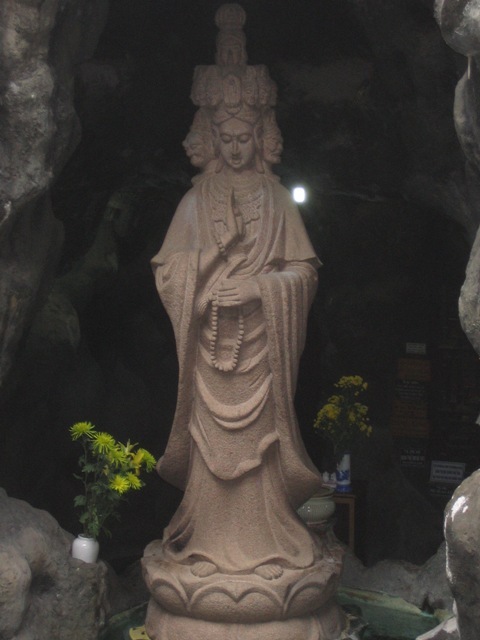 There is also a large and very kitsch grotto housing a quite unique shrine to Quan Am (Kwan Yin). 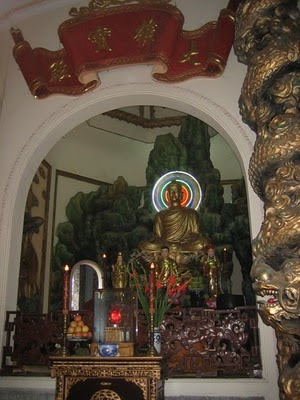 This particular shrine is very popular with locals, and the statue of Quan Am is quite unique, in a form rarely seen. To get to the grotto you need to walk through the gift shop to the left of the temple, and then climb up through the fake cave. Offerings are made from behind the statue. This grotto is exceedingly cramped, and should you meet someone on your way up or down one of you is going have to re-trace your steps - it is almost impossible to pass another person.